Joe Biden Consoles a Tearful Meghan McCain Over John’s Cancer BattleGrab a tissue. 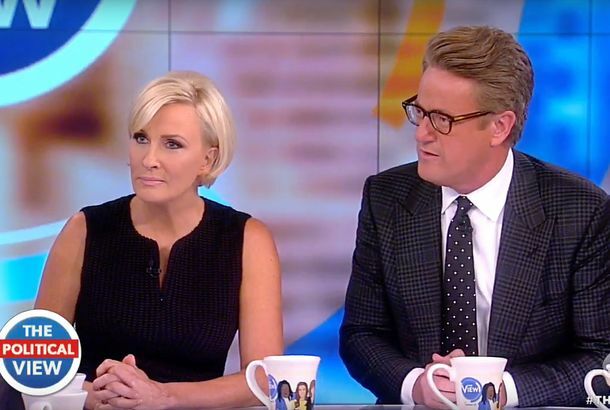 Joe Biden Consoles a Tearful Meghan McCain on The View Over John’s Cancer BattleGrab a tissue. Having Left Fox News, Meghan McCain Might Be Joining The ViewMcCain is rumored to replace Jedediah Bila, who announced that Monday’s show would be her last. The View Traded Celebrity Gossip for Political Drama and Got a Ratings BoostThe show’s new focus on politics has been great for ratings. Clay Aiken, Ruben Studdard Reunited on the ViewTheir sweater game is strong. Sara Haines Is the Latest Co-host in an Unpredictable Year for The ViewHaines was previously a weekend anchor for Good Morning America. Whoopi Goldberg’s Bus Caught Fire; She’s Fine, the Bus Isn’tThere’s no confirmation as to what caused the fire. Ann Coulter Roasts Raven-Symoné on The View and Almost Makes You Like HerThe drag was too real. YouTube’s Watermelondrea Isn’t Happy With RavenShe clapped back against The View host on social media. Kelly Osbourne Was Reminded That Ironic Racism Is Still RacistShe was aiming for Daily Show but landed closer to Tosh.0. Rosie Perez Is Leaving The View After Less Than a Year [Updated]Michelle Collins has reportedly been upgraded to regular co-host. Raven-Symoné Officially Named The View’s New Co-HostShe has been a guest host on the talk show for weeks. Ciara Continues Her Tour of GreatnessFlawless, yet again. Rosie Vlogs About Why She’s Leaving The ViewIt’s majorly stressing her out. Rosie Perez, Nicolle Wallace to Host The ViewJoining Rosie and Whoopi. Rosie O’Donnell Is Returning to The ViewABC just made it official. Sherri Shepherd and Jenny McCarthy Are Leaving The ViewEveryone except Whoopi. Watch Oprah Surprise Barbara Walters on Her Final Episode of The ViewAlong with Hillary Clinton and a slew of female newscasters. Watch The View Reunite Every Former HostFor Barbara Walters’s retirement.